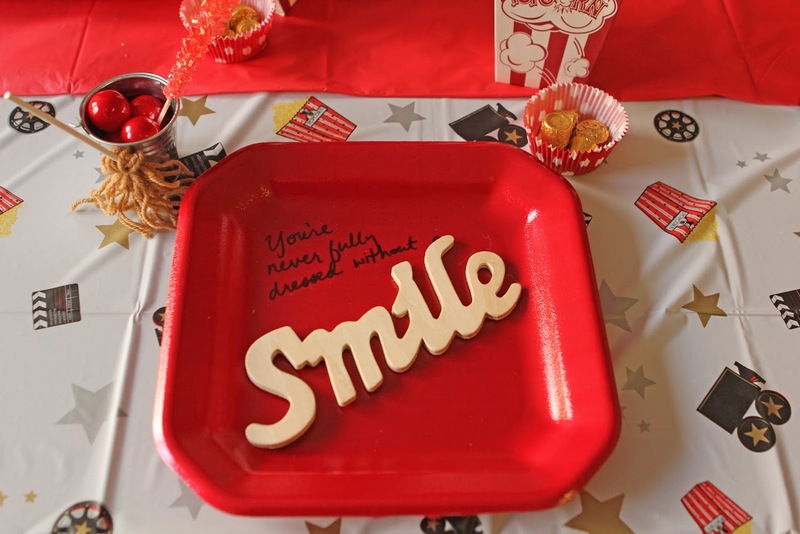 End of the school year is always a fun time because you get to celebrate your children’s accomplishments. My three worked so hard this past school year, and we are super proud of them!! Asher got “A Honor Roll” for the whole year! He also won a 4th place medal for Accelerated Reader points in all of first grade! 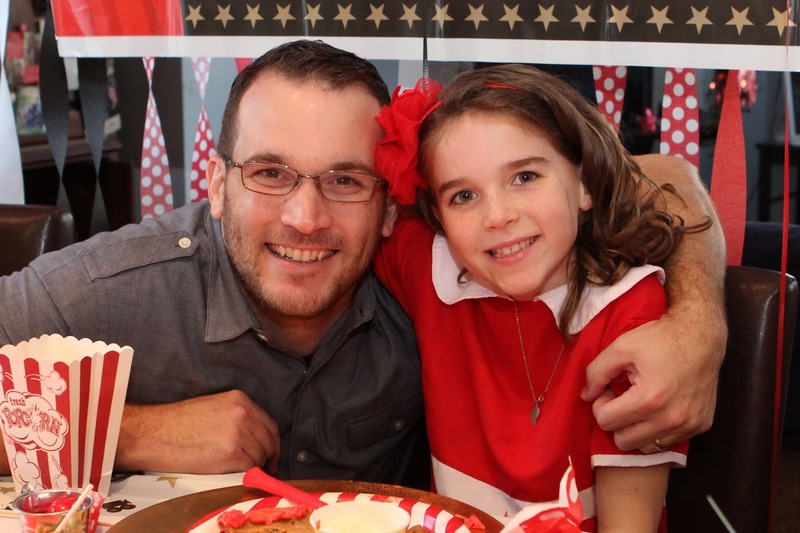 Ella won a 1st place medal for Accelerated Reader points in all of 3rd grade! Ella also won the math and reading award in her class for getting a perfect score on STAAR reading and she missed one on STAAR math!! 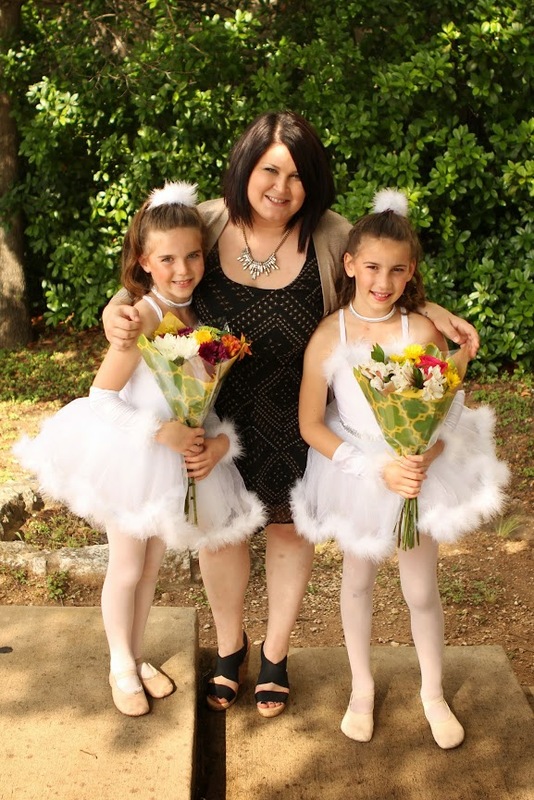 Ella’s teacher, Mrs. Griffin-Hamlin won best teacher in the district last year and this year won best teacher in Austin! Ella has a special bond with her and we love her too! Rilyn won a 6th place medal for Accelerated Reader points in all of 5th grade, all A Honor Roll all year, the Presidents Award for Educational Excellence in her class, the reading and science award for her class for having commended scores in STAAR on math, reading, and science! Rilyn also was presented a gavel for serving at Student Council president this past year! Praying big things for this girl! She is a true leader! So proud of this girl! She was at Manor Elementary since preschool! Here she is on graduation day-7 years later! 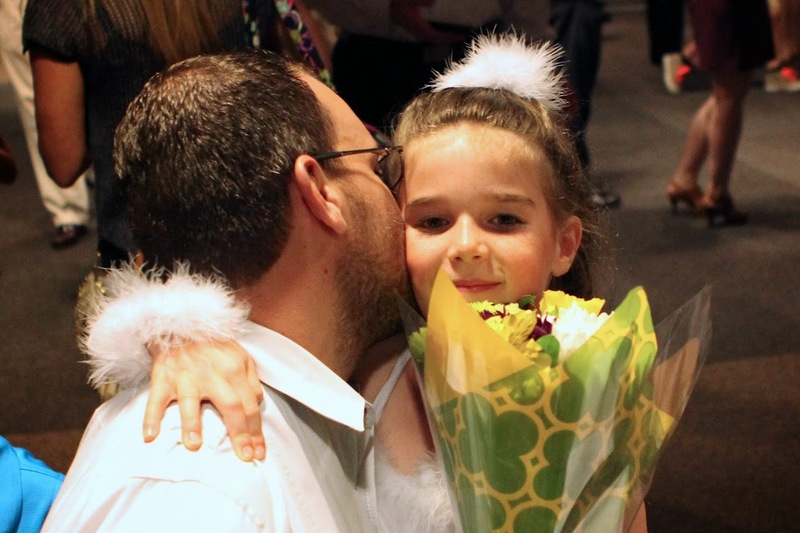 This is Ella’s last ballet recital. She has decided she wants to pursue theater! She looked beautiful! 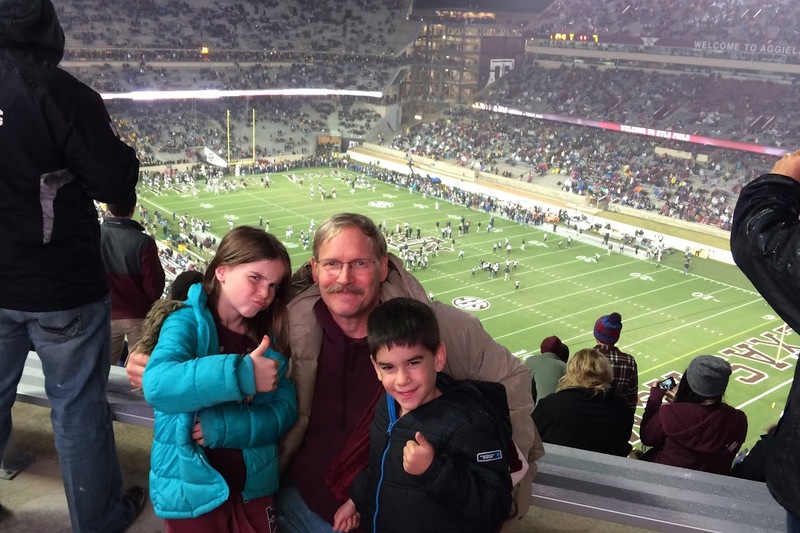 Grandpa and Grandma came to watch! 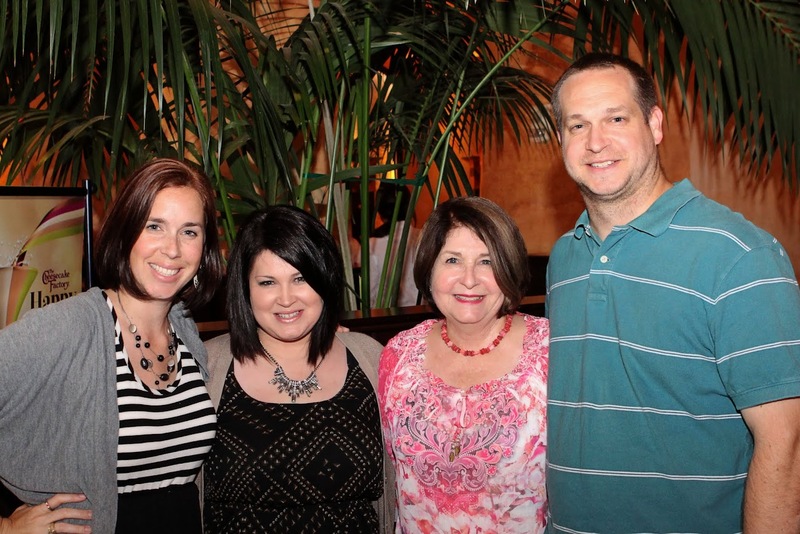 After the recital we celebrated my mom’s birthday with a dinner at Cheesecake Factory! The WHOLE family came! Yay! 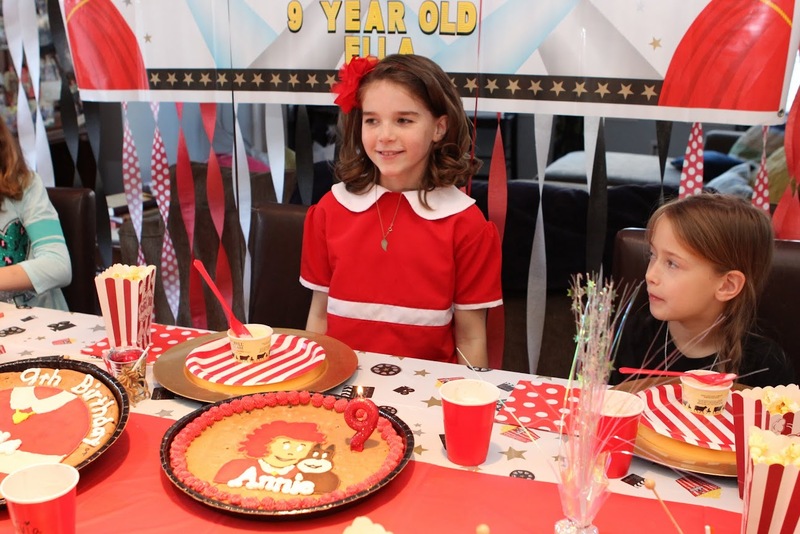 James made a sweet video of Ella’s party day! Check it out! 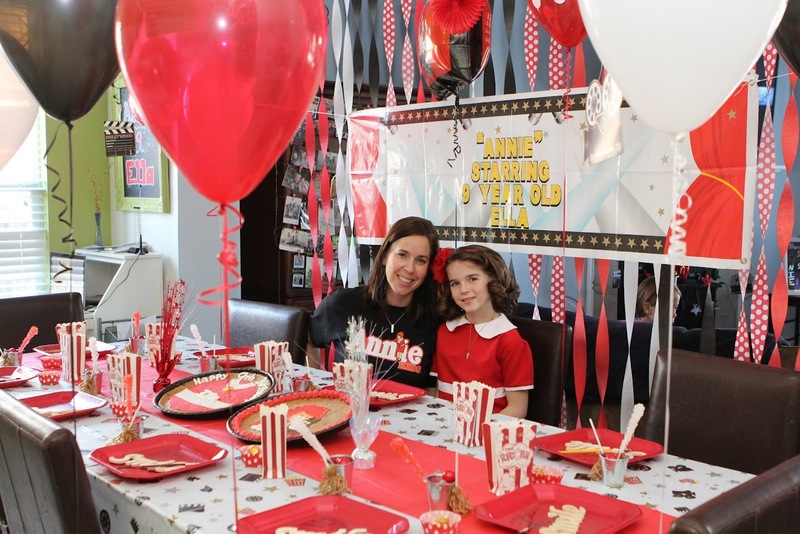 Since Ella was Annie in the musical this December, she wanted to have an Annie themed 9th birthday party! Makes sense to me! 🙂 Let’s start with the decorations! 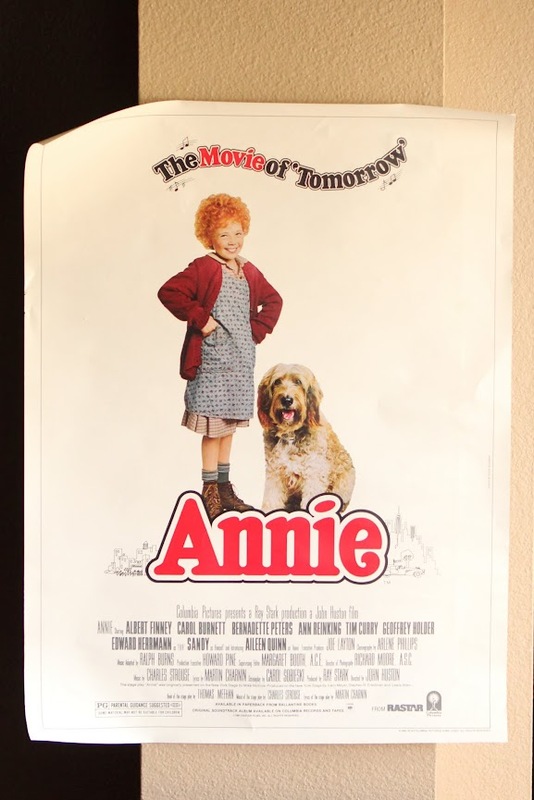 I found the original Annie movie poster on Ebay! I drew this on our kitchen chalkboard. Rilyn made this out of Wikki Stix! Cute! 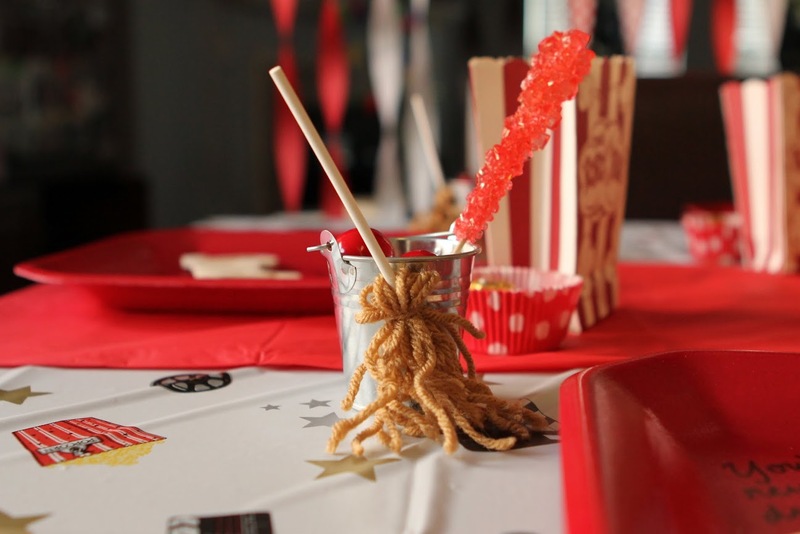 I made “mops and buckets” to hold candy at each of their seats! 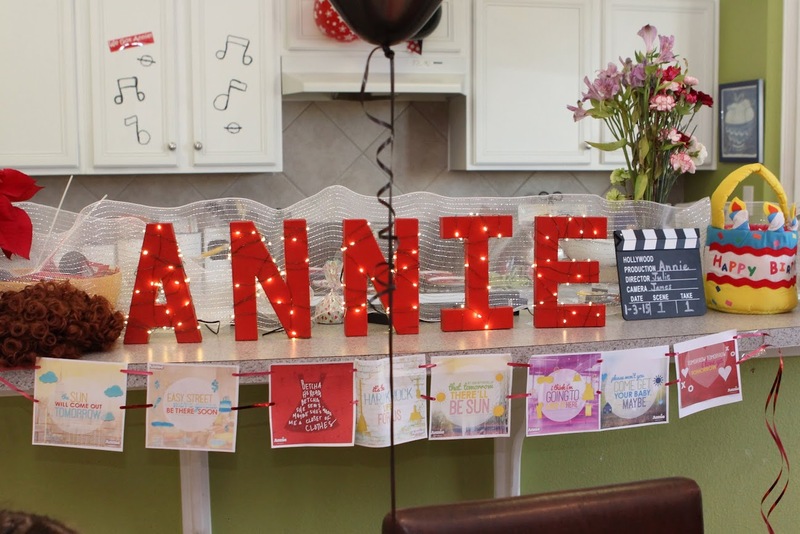 I made an Annie sign by buying letters and wrapping them with lights! 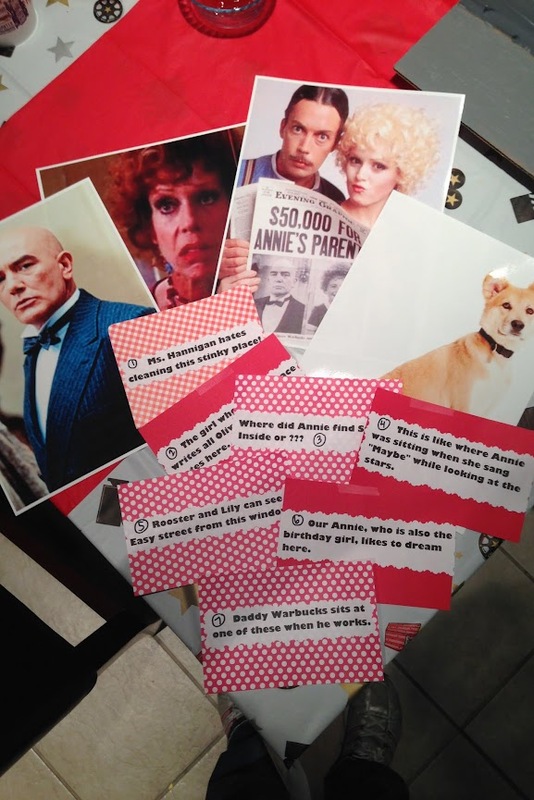 I also printed off famous lines in the movie to make a banner. 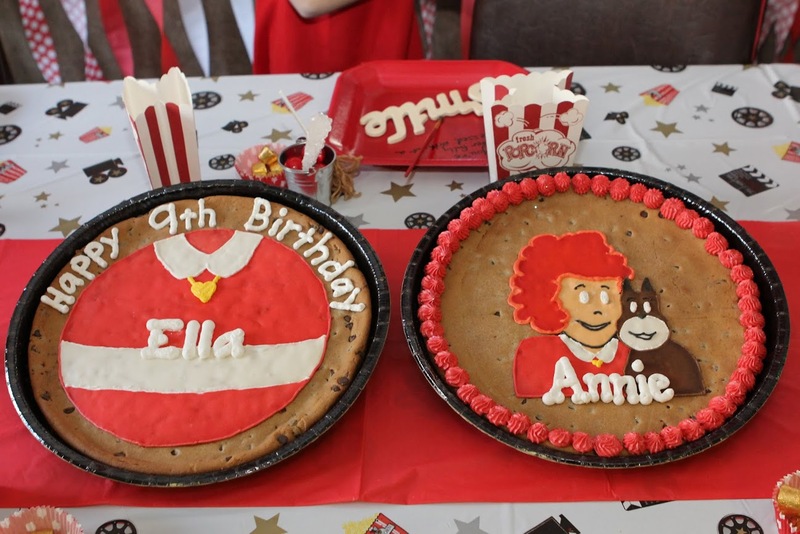 The amazing cookie cakes that my friend Jen decorated! 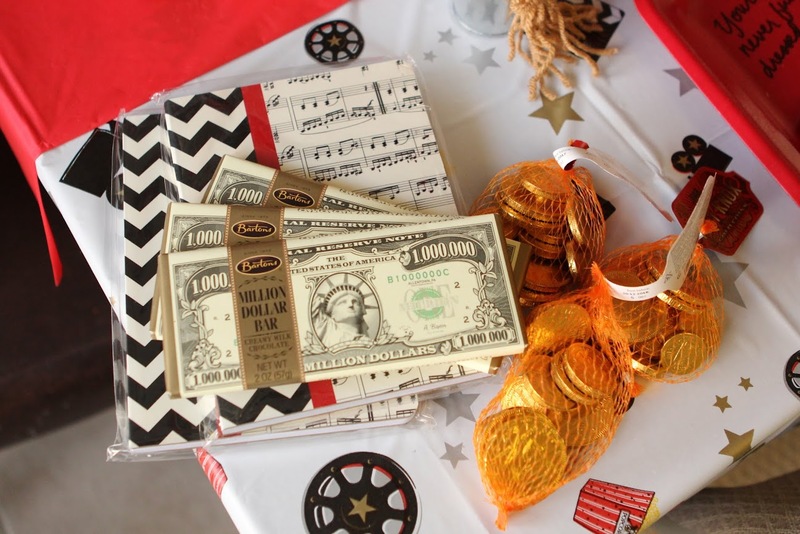 The game prizes: Daddy Warbucks “money”, “coins” (chocolate) and music note journals! 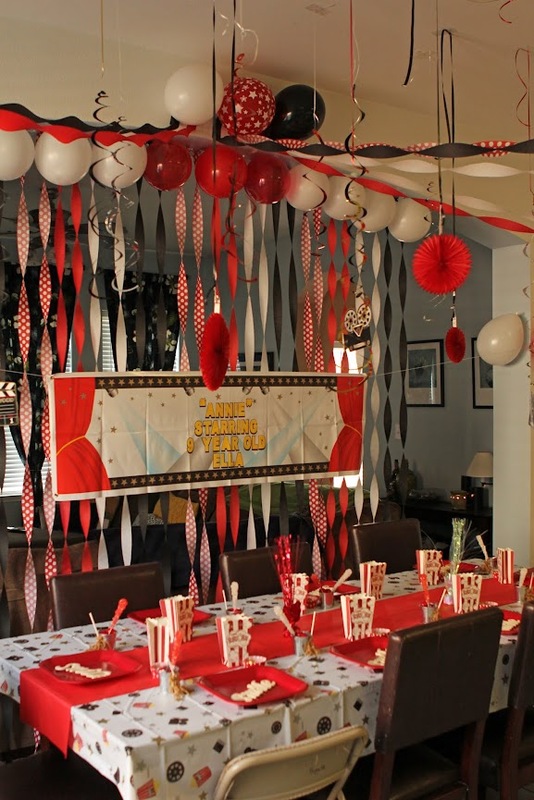 Ready for this party to start! 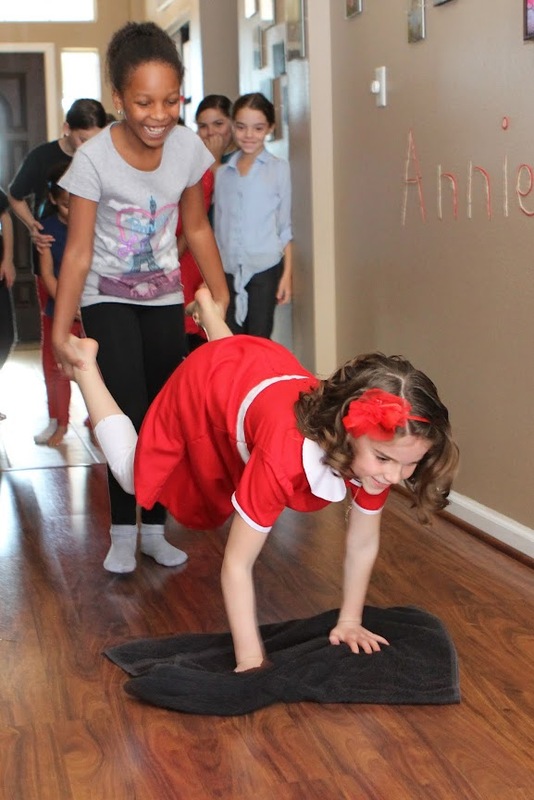 The next activity was called the Hard Knock Life game! 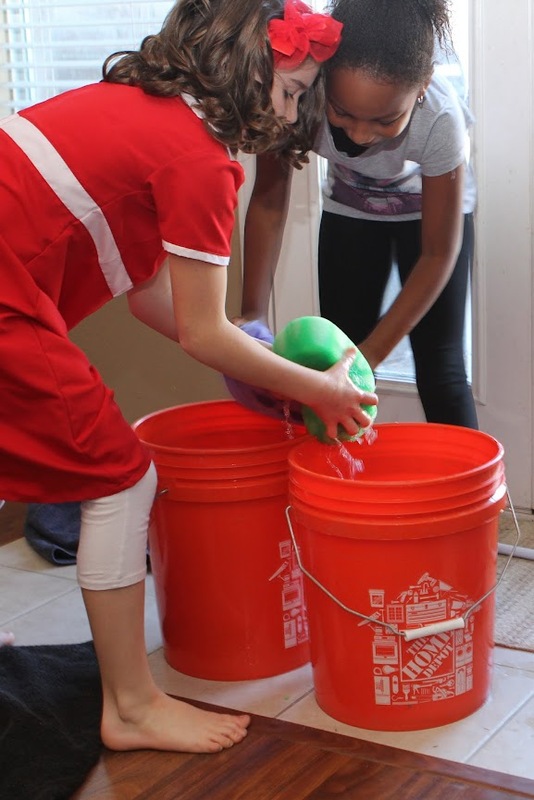 Girls got in pairs and were timed to do 3 different “chores”! First chore was “mopping across the floor” like so. 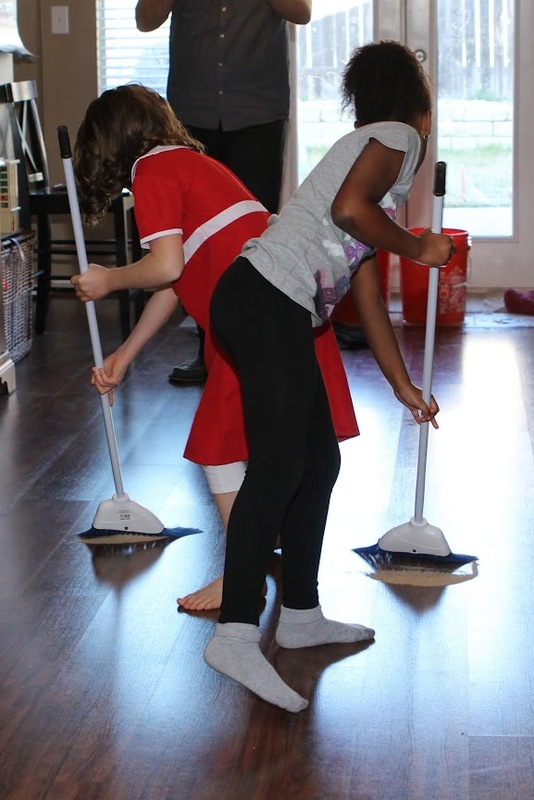 Then their last chore was to each sweep a pile of sand across the floor to the other side. Fastest time for all 3 chores done together wins! 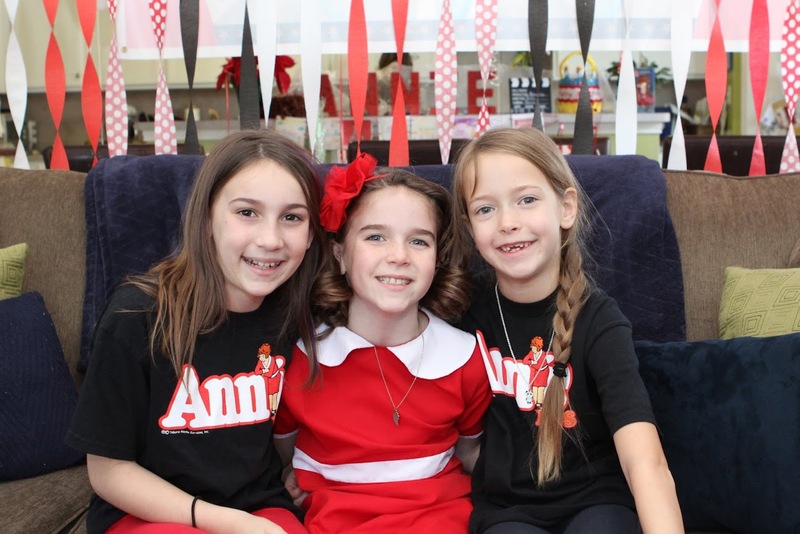 The next game was a scavenger hunt when the girls divided into two teams and had to find Annie’s missing locket! 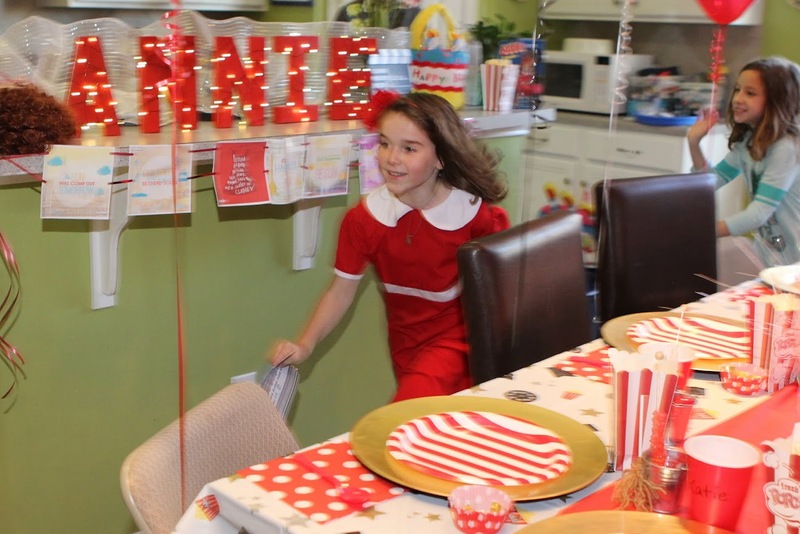 We hid pictures of the characters in Annie around the house and then they used clues to go from picture to picture trying to find the locket! Who has it?! 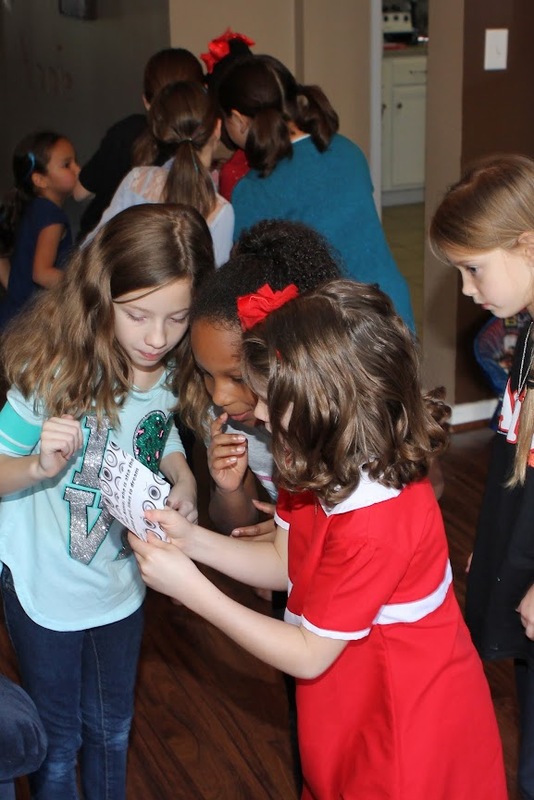 Here are the girls reading clue #1! 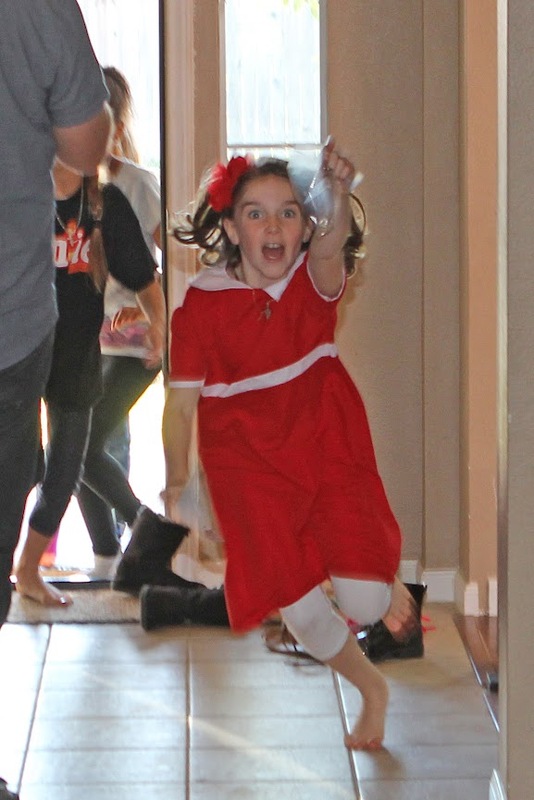 Run Ella to the next clue! 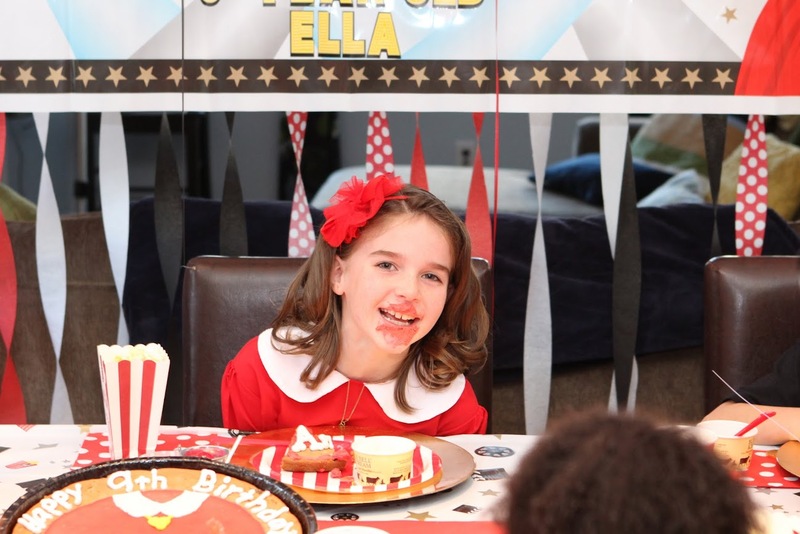 Happy Birthday dear Ella, happy birthday to you! 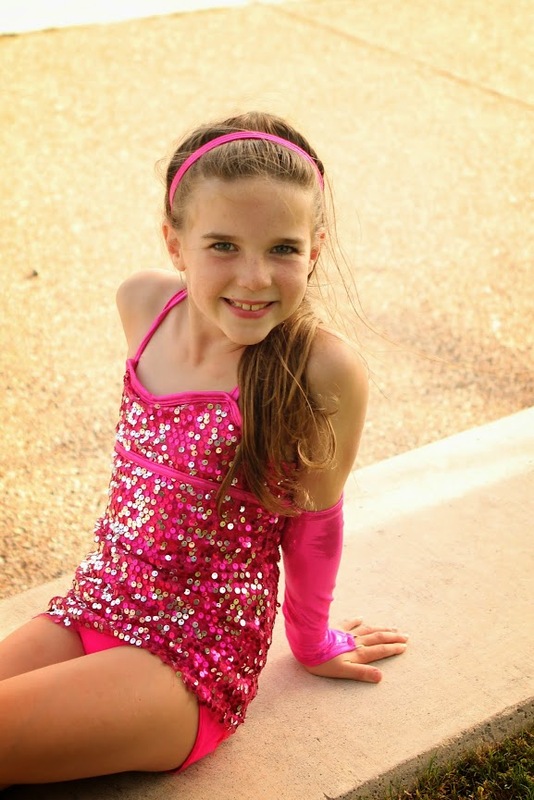 My sweet NINE year old! 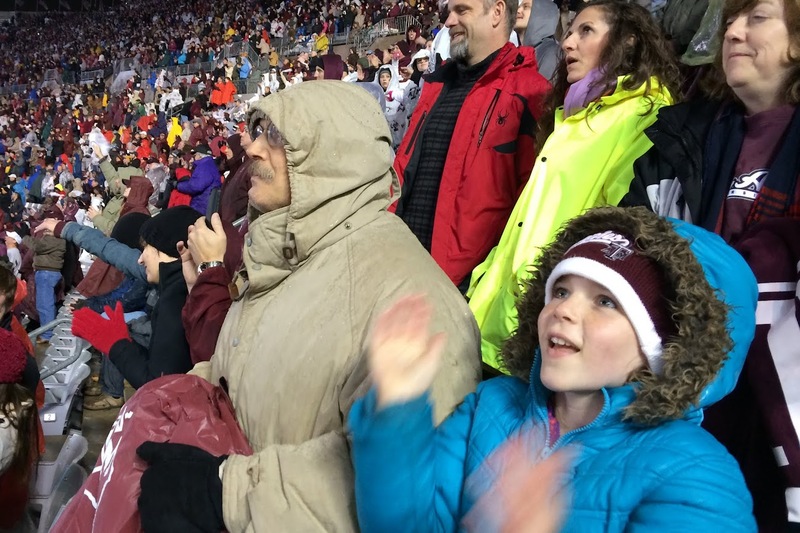 The picture captures Ella well- always. a. mess. Time for presents! 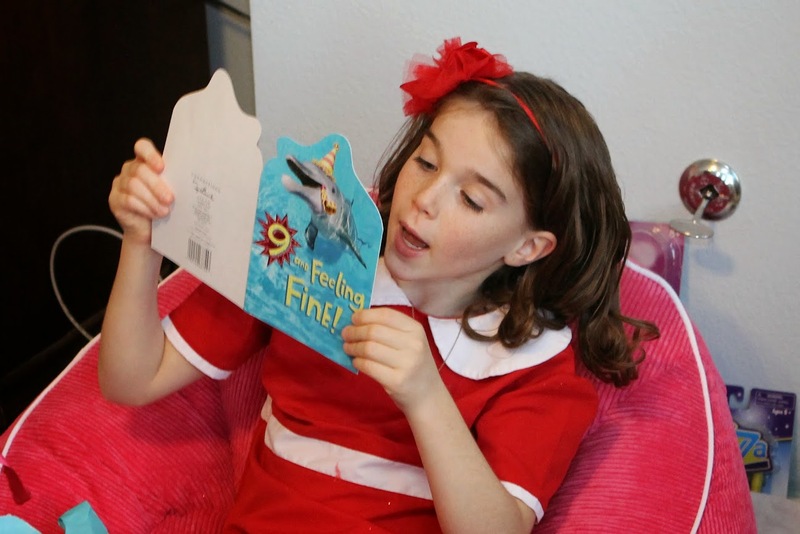 Ella loves reading her cards! 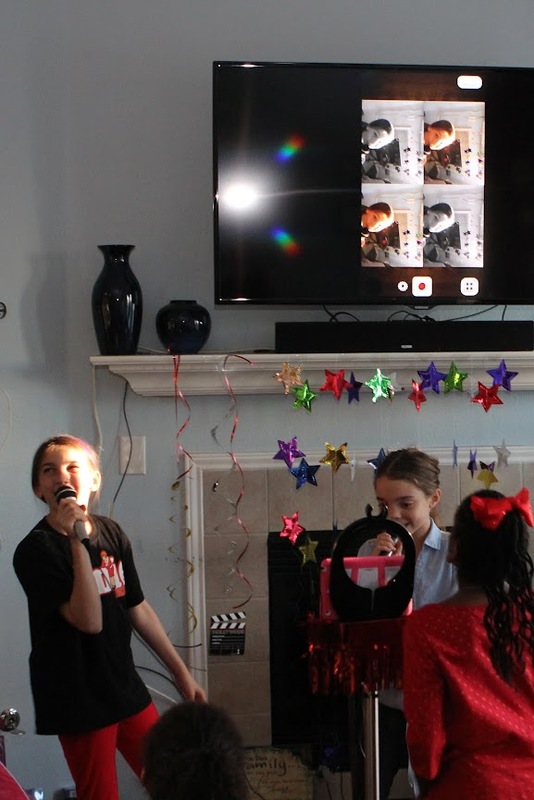 After eating and presents, we did Karaoke and they sang their favorite Annie songs! 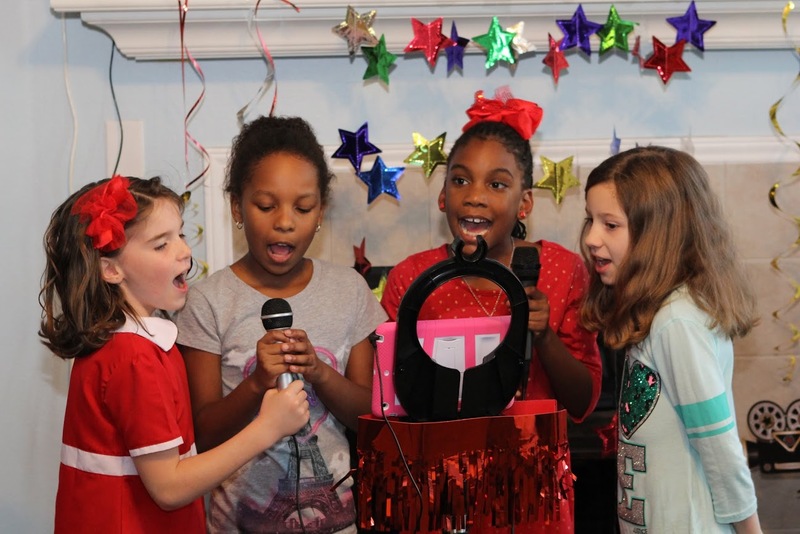 Ella’s classmates in 3rd grade singing their hearts out! 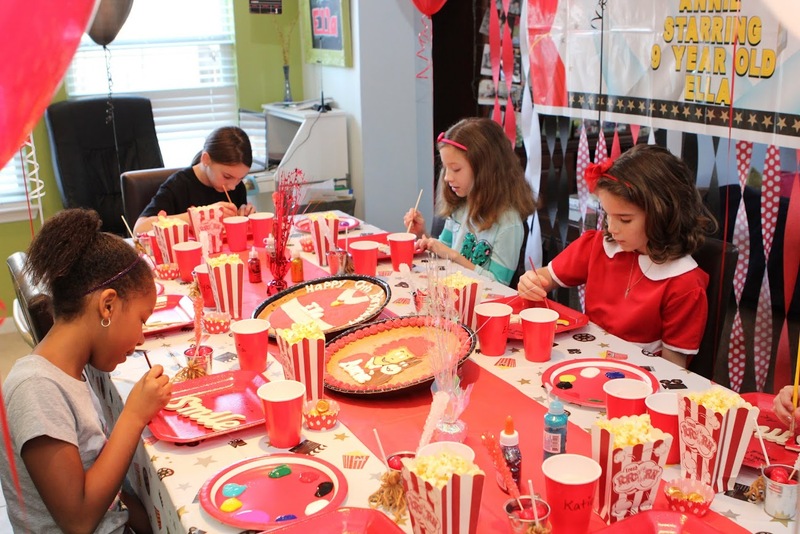 When the party was over, Ella got to have a few of her best friends stay for a sleepover! Bless James’ heart! 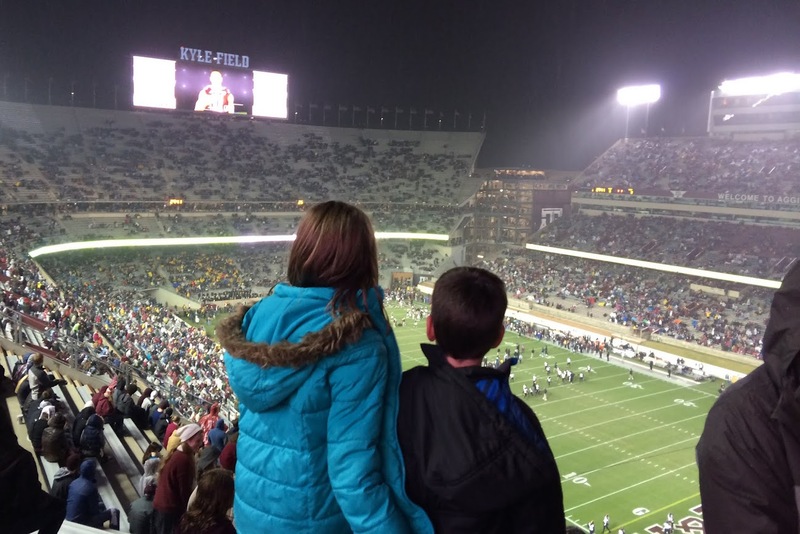 He went to the Aggie game last Saturday with Ella and Asher, and it was cold, rainy, late night, AND a heart-breaking loss at the end of the game! 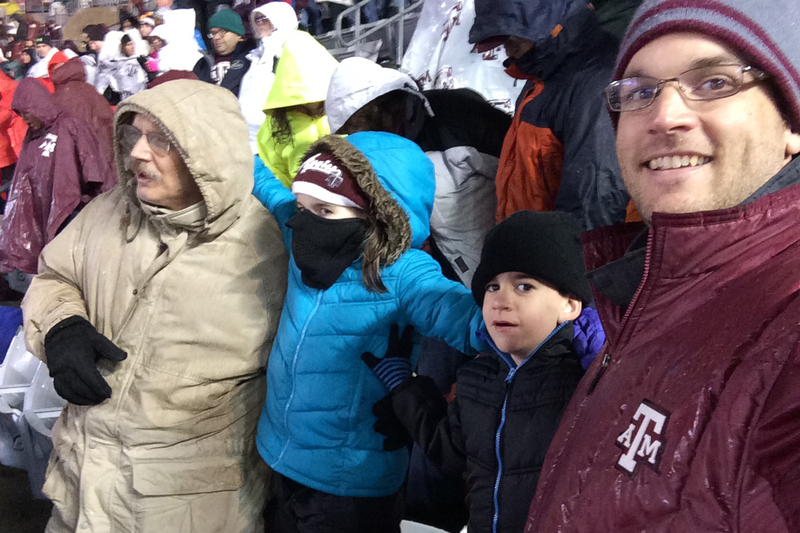 He was a trooper, bringing all their ski gear so they would stay warm and dry! 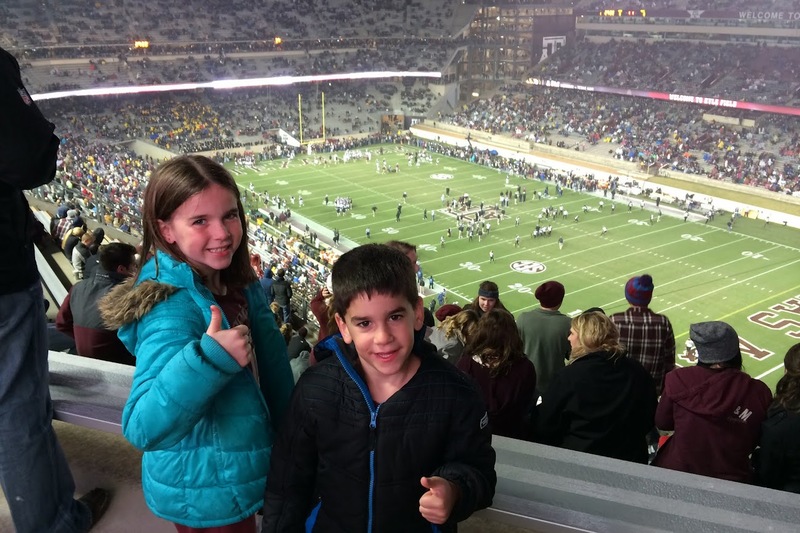 They still had a good time with grandpa, despite the circumstances! 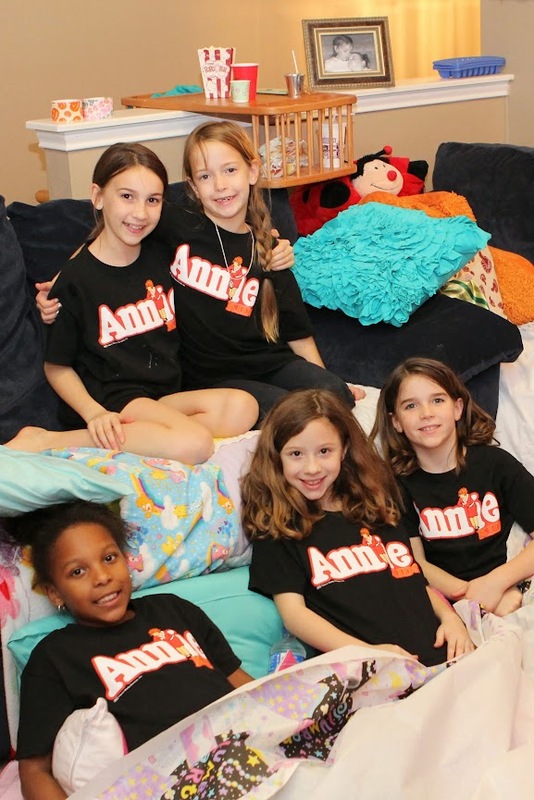 My girls love to sing, and they love Annie the movie, so I thought, why not give them this chance to try out for being in Annie Jr. at the Jewish Community Center in December? 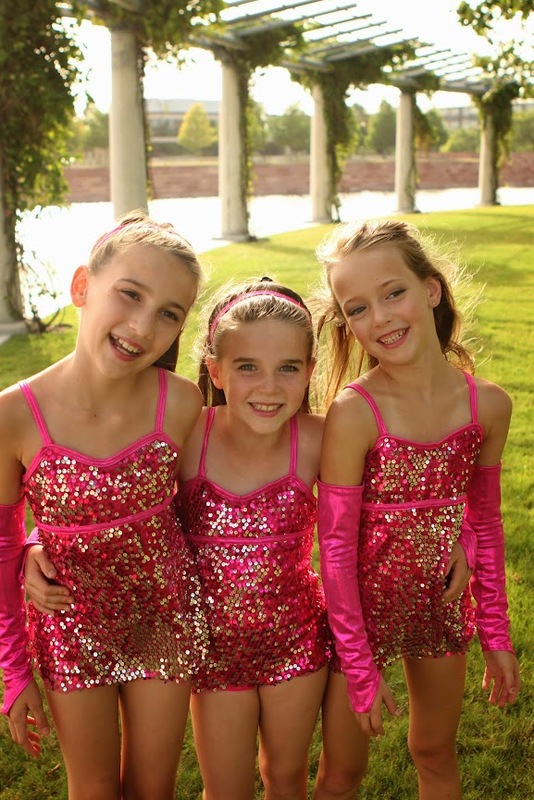 The girls were excited about the idea, and so they auditioned in late August. 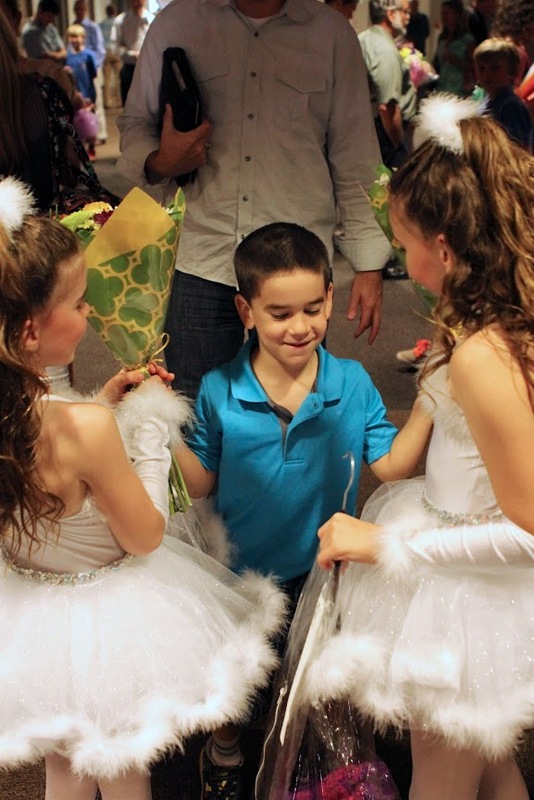 After three 2 hour auditions (closed door, no parents allowed), they got their roles in September! The roles were e-mailed to me at 11:30 at night, so when I read them, I couldn’t sleep that night, because I couldn’t wait to tell them who they were going to be the next morning! 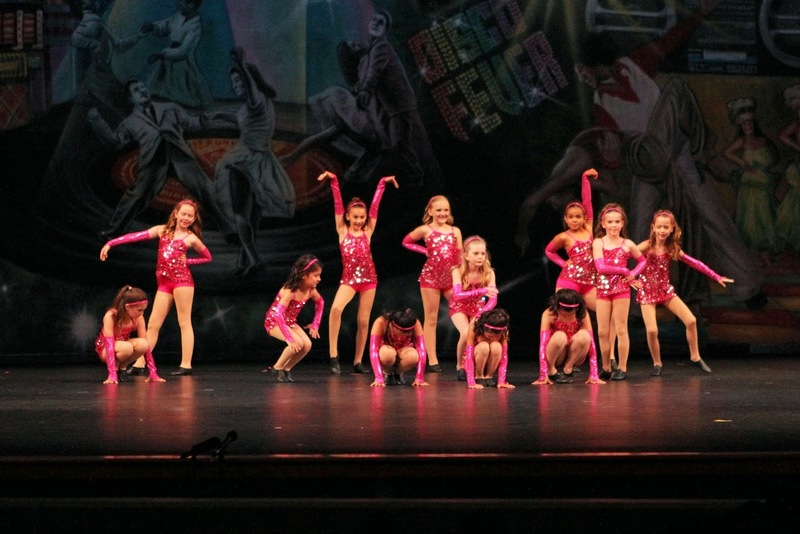 Keep in mind, they’ve never acted/sang on stage before, so we prepared them to be orphans or a smaller role like that. 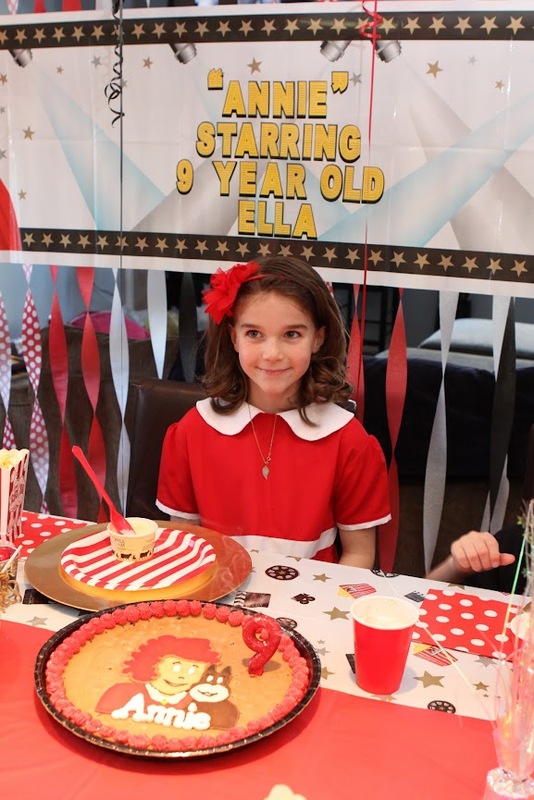 Ella, in fact, prayed that she would get a small role. 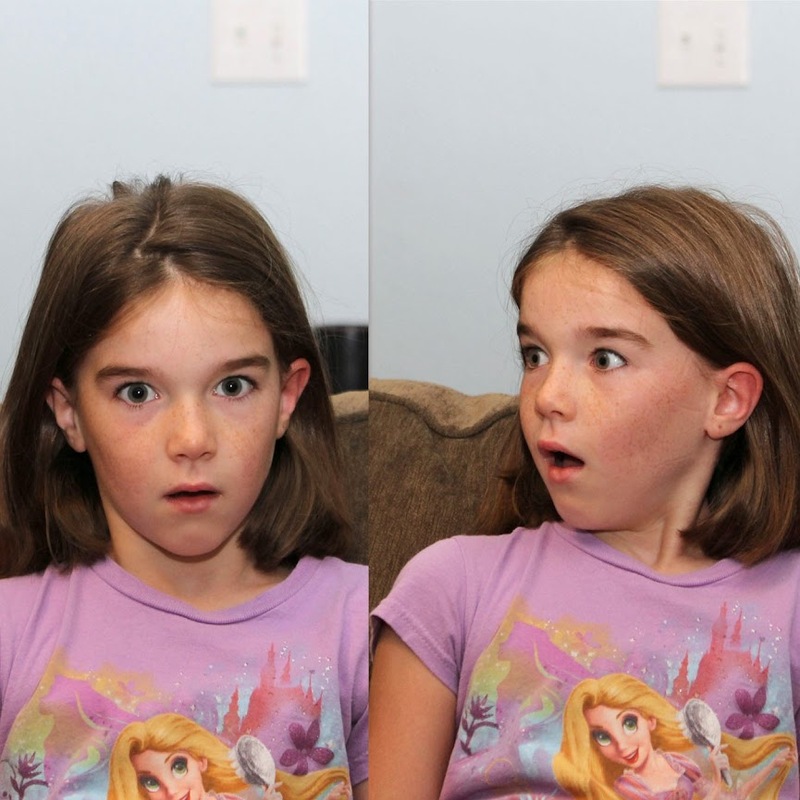 Well, here is Rilyn’s reaction to hear that she got the role of Grace, Daddy Warbuck’s assistant! 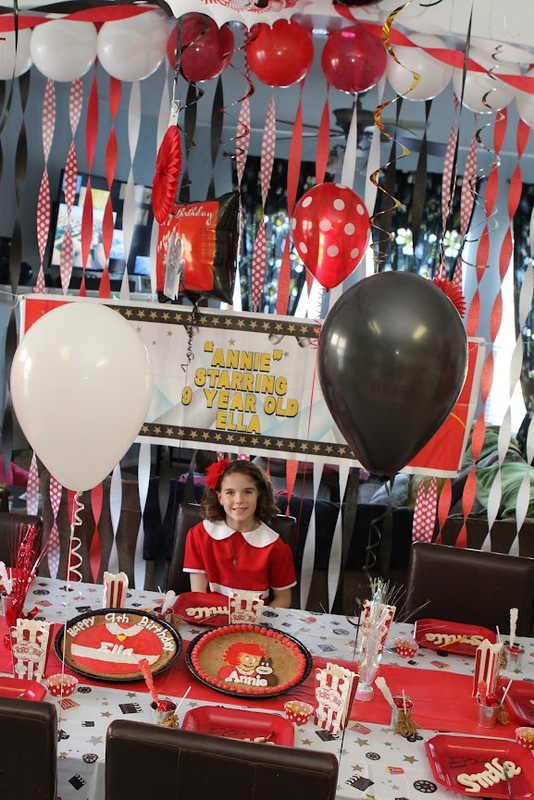 Now, Ella…well, she got the role of ANNIE!!! 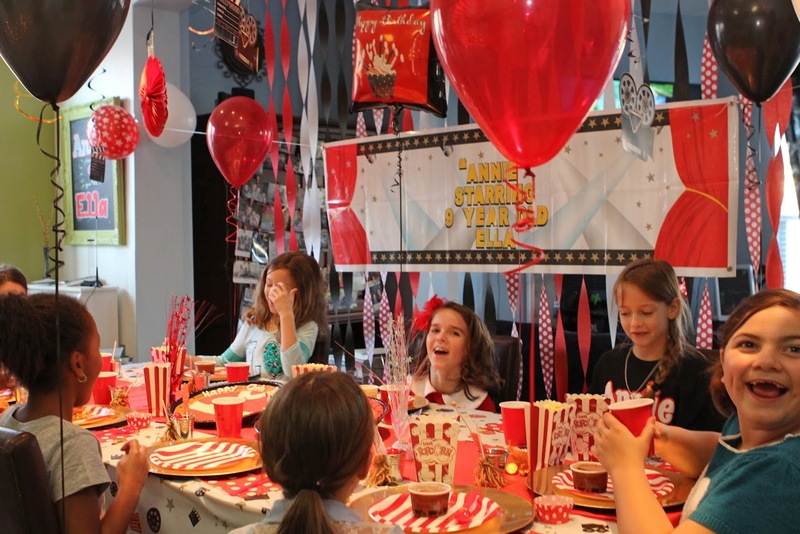 We couldn’t believe it (in a good way), and it was even more fun to tell her! 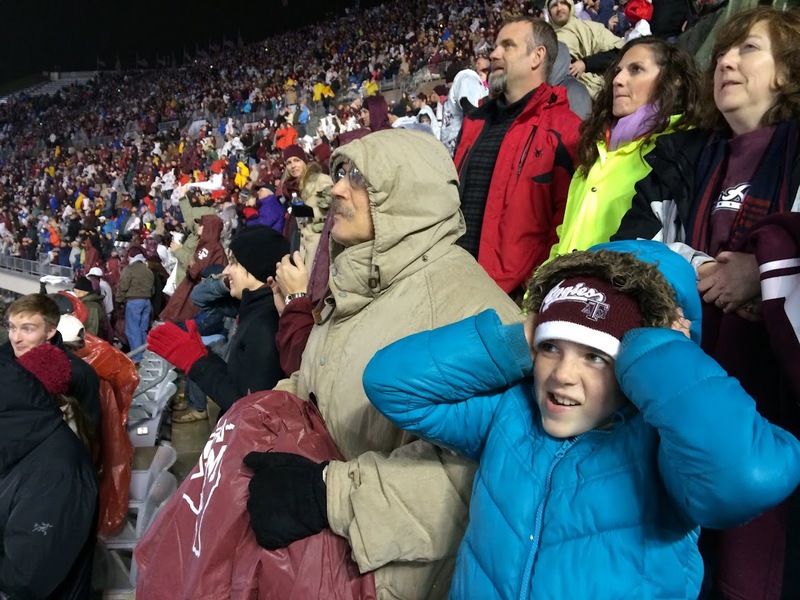 I wasn’t sure if she was going to cry when I told her, but she was just in happy shock. We are so proud of our girls! 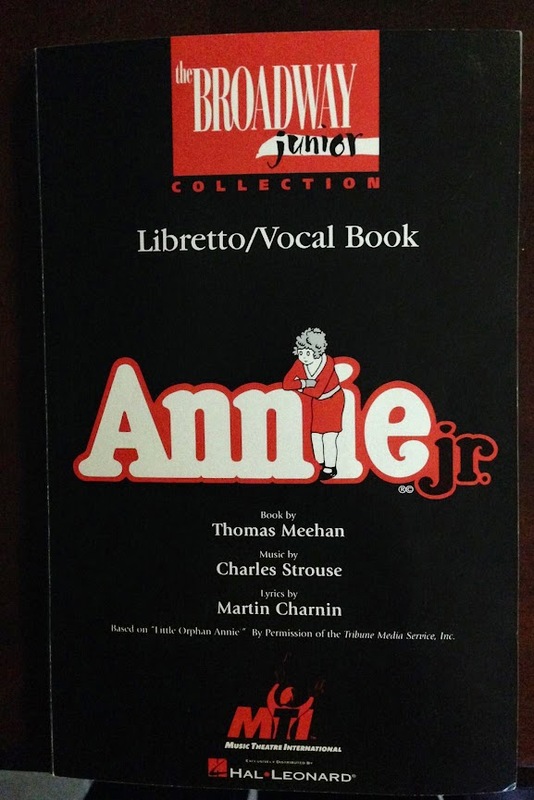 Now, for the next few months, it’s all Annie all the time, memorizing songs and lines! 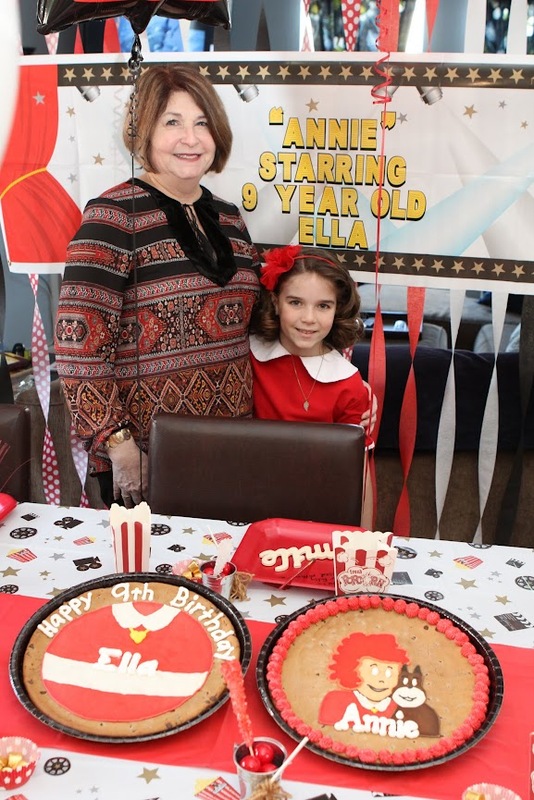 Ella will be Annie December 18th at 7 p.m. at the Jewish Community Center! 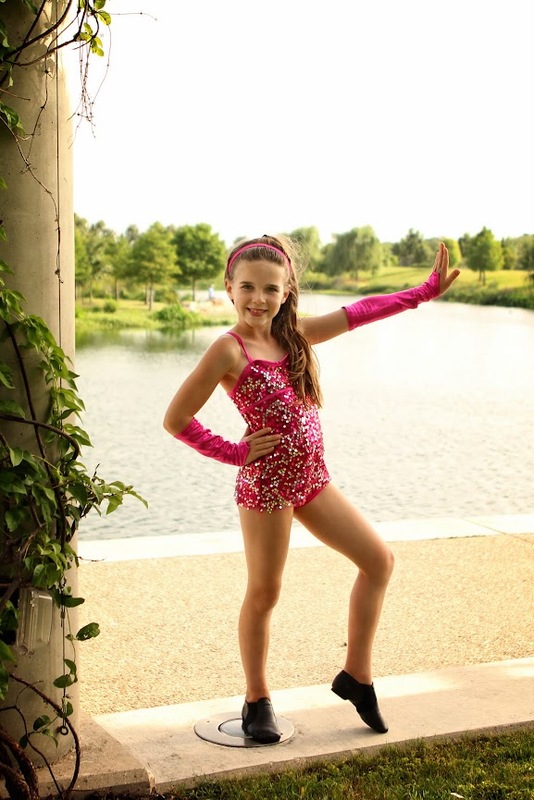 Rilyn will be Grace in both shows! 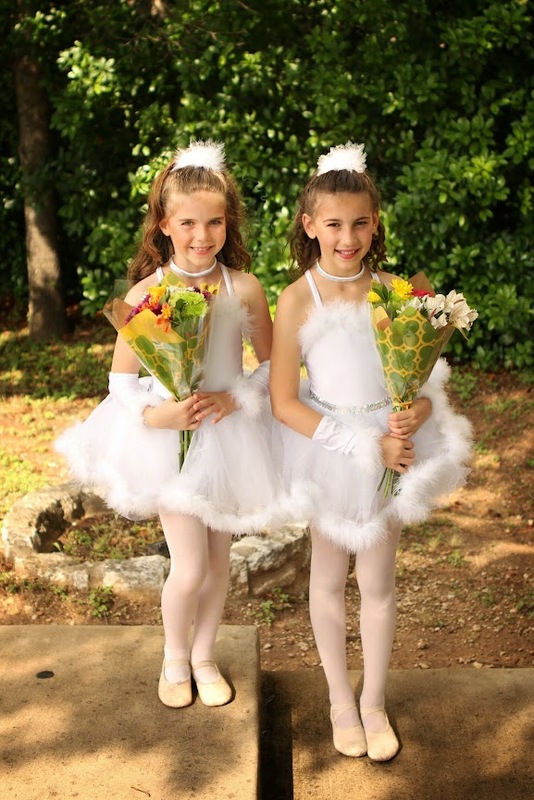 I took my girls and Anna on a photo shoot with their dance recital costumes, much like I did years ago, here, here, and here! 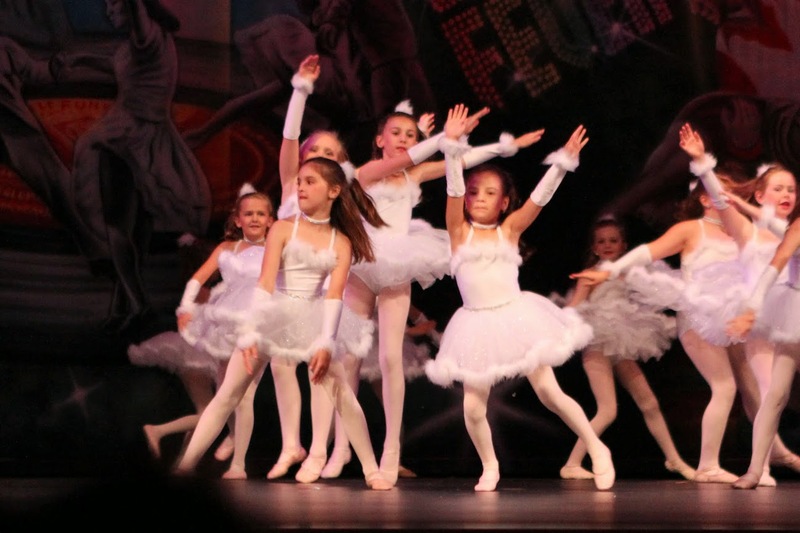 Rilyn, the Swan Lake princess! 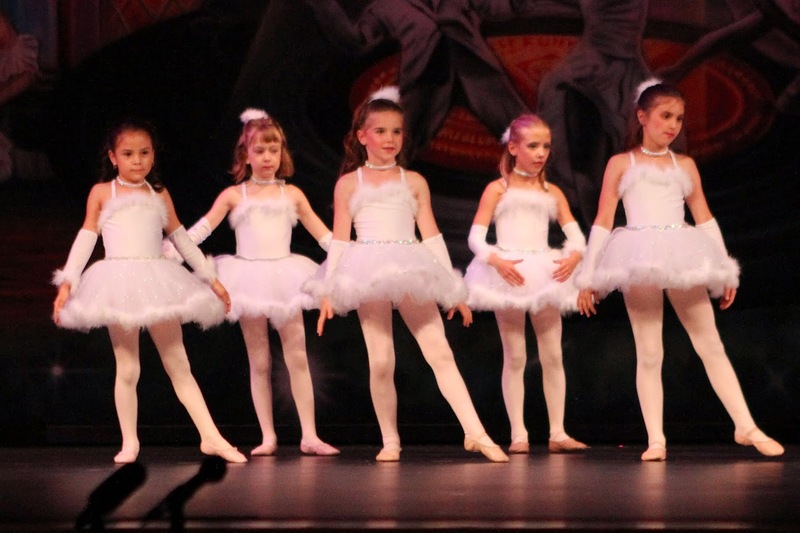 The girls were in the same jazz and ballet classes this year at Westlake’s Alisa’s Dance Academy. 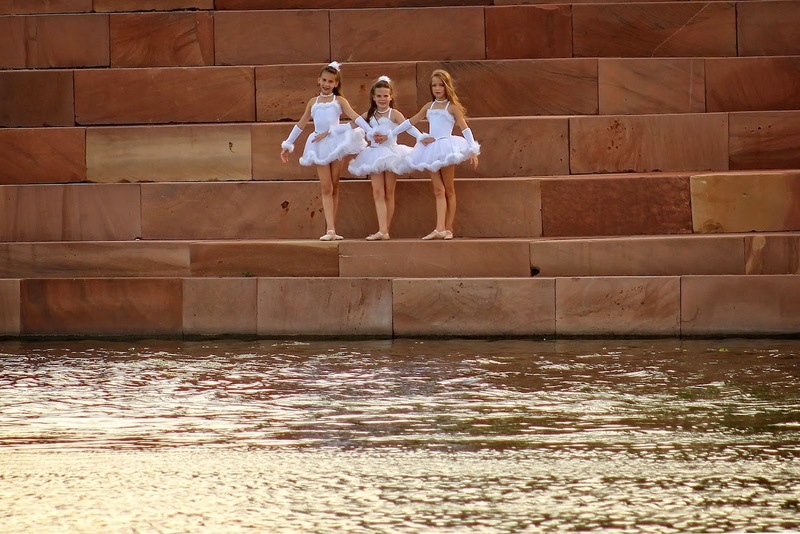 They enjoyed it, but next year Rilyn wants to take hip hop, and Ella just wants to take ballet. 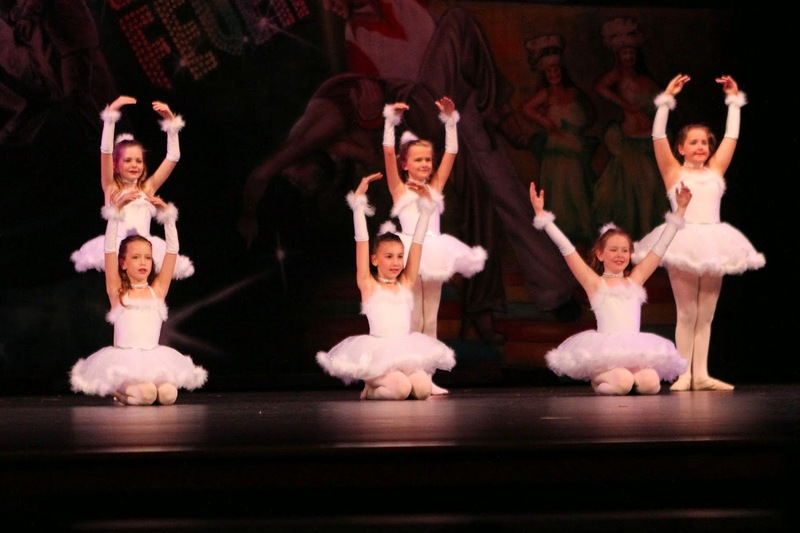 🙂 Rilyn loves performing on stage anytime, anywhere. 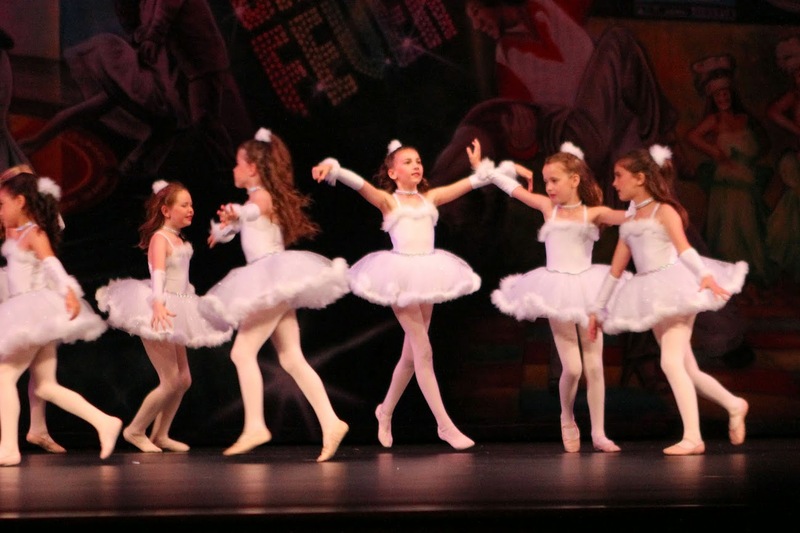 Ella gets nervous on stage, so slower movements in ballet suit her well. 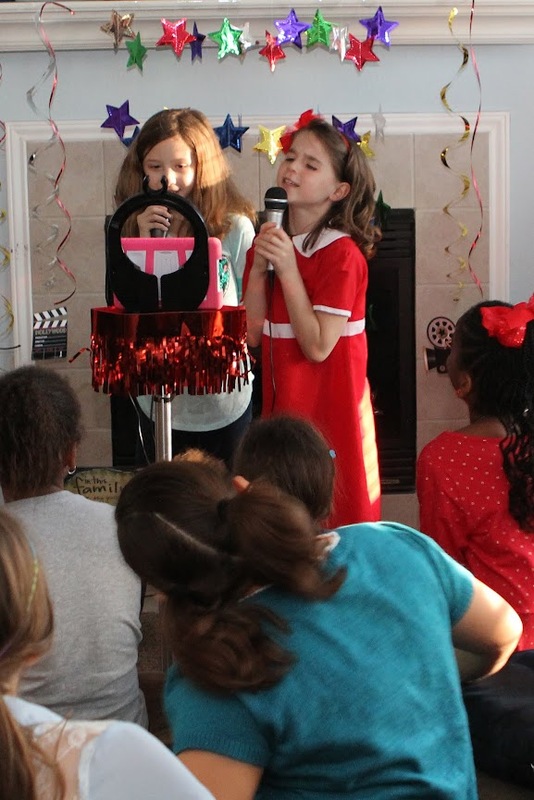 Ella and Anna doing their thing! 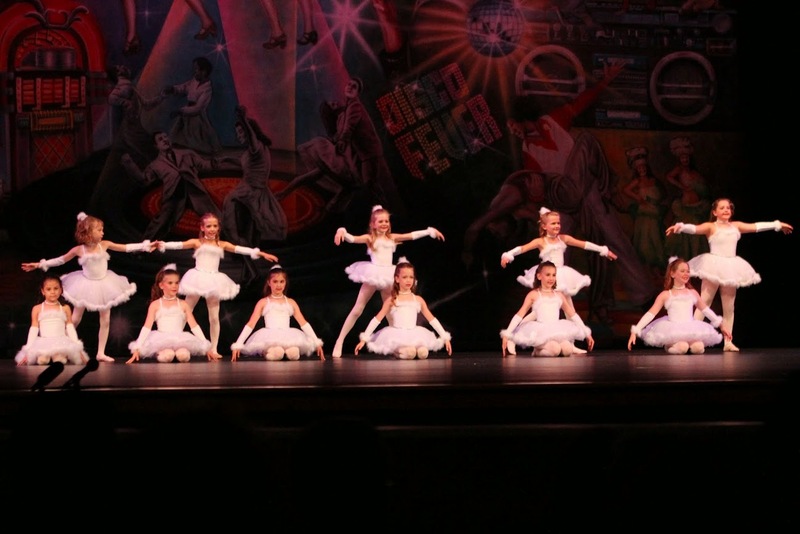 The girls did their ballet to a song from Swan Lake! 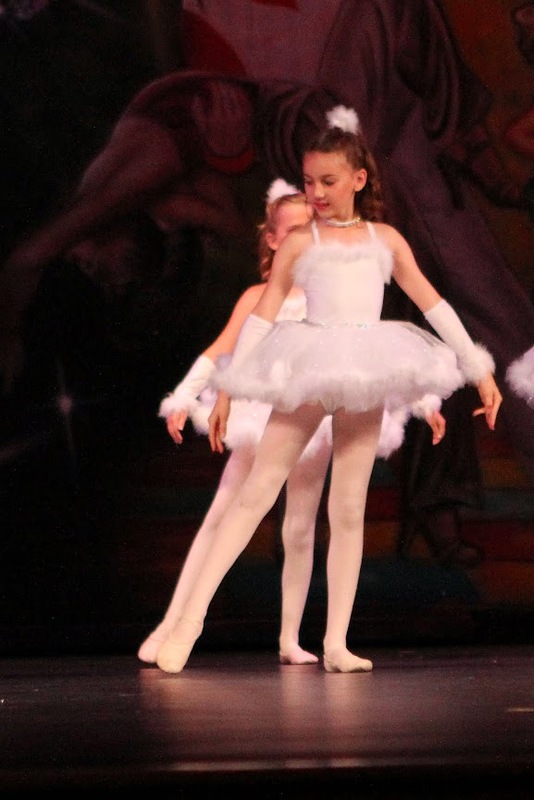 Rilyn flapping her wings so elegantly! 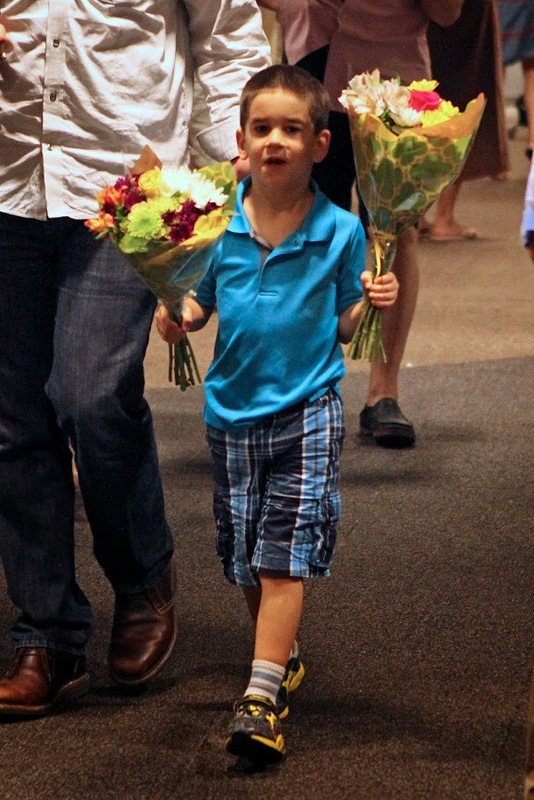 After the recital, Asher got to give them flowers! It was so sweet to watch! 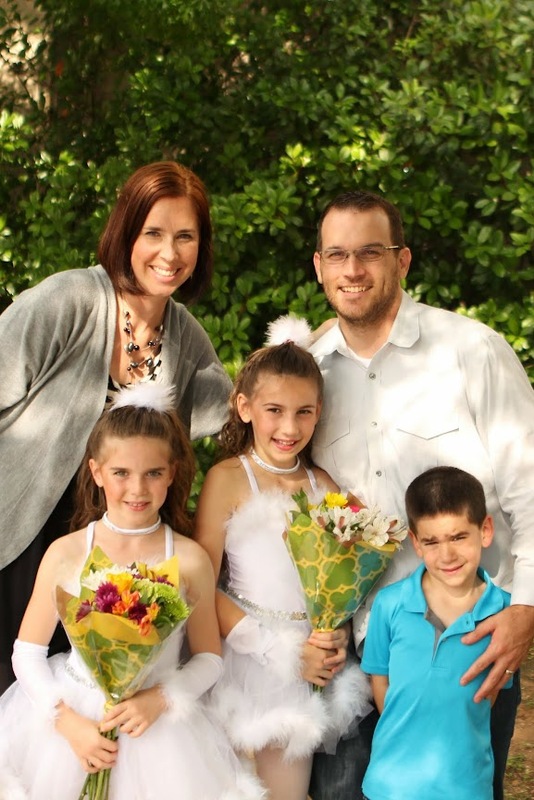 These girls love their daddy! After the recital, we celebrated my mom’s birthday at Cheesecake Factory! me, my sister, mom, and brother!